Easy tips for growing potatoes in straw layers when home vegetable gardening. Learn how to plant, care for, and harvest potatoes grown in straw in container gardens, or backyard vegetable gardens. Potatoes need a frost-free growing season of 90-120 days. 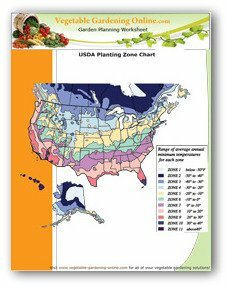 Use our zone chart to help determine frost-free dates for your region. If ever in any doubt about when to plant or sow, the best advice you will get is from a neighboring gardener. When it comes to second guessing a late frost, it depends on your local conditions, such as how far north, how high up, and how far from sea you live. If your potatoes are already up when a late frost is forecast, cover them with newspapers, a thick layer of straw, or other kind of protection. Who Started Growing Potatoes in Straw? The method of growing potatoes in straw was used in Scandinavia for centuries. My guess for the advent of this practice would be that the ground was too frozen there to plant the potatoes at the desired time! This way the spuds are kept warm in the straw or other mulching material. The straw helps keep the soil about 10 degrees warmer. Pick a garden site that gets full sun. 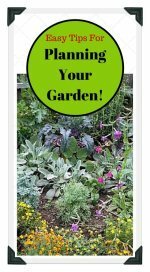 Turn over the garden bed at least once so the soil is loose. 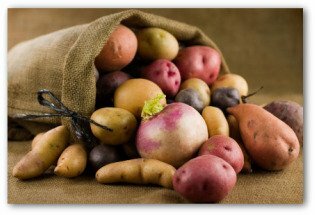 Potatoes need well-drained, fertile soil that is high in organic matter. Put about 6 inches of compost enriched fertile soil in the bottom of a large container. Some gardeners use a wooden half-barrel, an old truck or tractor tire, or any other large container. Lay the seed potatoes on top of the soil. Cover them with 4-5 inches of straw. After the potatoes sprout, and have grown to about 8" tall, add another layer of straw 1/2 the way up the stems. Repeat this several times until the straw reaches the top of the container. Plant certified disease-free seed pieces on the surface of the soil in rows a foot apart and cover with loose straw. Each piece must have at least one eye. Place straw between the rows 6 inches deep. As the seed pieces begin growing, the potato sprouts will peek through the straw cover.Weeding and watering are the main maintenance requirements for growing potatoes in straw. You will see the potato growth sprout quickly. Once the sprouts have grown about six inches, cover them with additional straw until only an inch of the new growth appears. Then allow the plants to grow another six inches. Keep repeating this procedure for a few more cycles. If there is not much rainfall in your area, be certain to keep the soil evenly moist. As the potato vines begin to grow, mound up additional straw or mulch around the base of the plants. Mulching results in a yield of clean tubers. New potatoes can be harvested before the potato vines completely mature. Simply lift up the layers of straw, remove some potatoes, and replace straw. Harvest time is a breeze when growing potatoes in straw. The sight of flowers blooming gives you a heads up that there are new potatoes underneath the straw. Harvesting is as simple as reaching in and pulling the potatoes out. If you prefer bigger spuds, simply permit the plants to die, and the potatoes will be ripe for picking a couple of weeks after the vine dies. Americans eat over thirty pounds of potatoes each year per person, 25 percent of which is French fries! 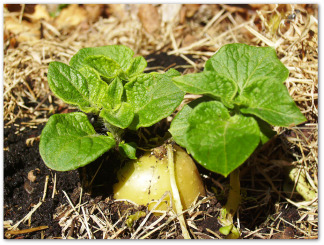 Growing potatoes in straw is an easy vegetable gardening alternative to planting the tubers underground. This technique saves you from needing to dig up the tasty taters at harvest time. When you sprout a potato, you are encouraging early growth. Before planting, rub off all but the two strongest sprouts. 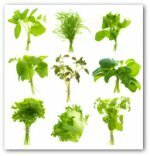 Many gardeners believe that vegetables should be planted on specific dates for the best growth and flavor. Tradition has it that potatoes should be planted on Good Friday, but as that is a movable feast day it is not advisable to observe this conventional date religiously.